Born in Brooklyn, NY, Kaplan's introduction to boxing came as a teenager at Camp Wakitan in upstate New York when a smaller boy bloodied his nose. A life-long obsession with the sport and its intricacies was born. He engaged in several amateur bouts and one professional fight, which he won. With the onset of WW II, Kaplan joined the Coast Guard because one of his idols, Jack Dempsey, did the same, and served in the South Pacific as a chemical warfare specialist. After the war, Kaplan earned a biology degree from the University of Miami and worked for 30 years at the Center for Disease Control as a quarantine officer. In the 1950s he met Angelo and Chris Dundee at Miami's famous Fifth Street Gym and was soon serving as their public relations consultant. At the same time, Kaplan began amassing the largest private collection of boxing archives. Over the next 50 years he would become recognized as the foremost historian in the world. In addition to his archives, Kaplan is the founder and editor of Boxing Digest magazine, editor of Boxing World and served as consultant to such media outlets as Sports Illustrated, London Times, Der Stern and HBO. 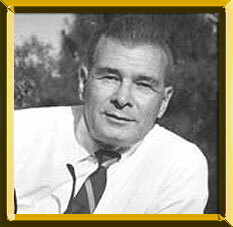 For over two decades Kaplan was The Ring's Florida correspondent and has written and published boxing features and historical pieces for boxing journals all over the world. Authors, filmmakers, researchers and sportswriters often seek Kaplan's expertise and opinions. Kaplan served as technical director for the Marciano vs. Ali computerized bout in 1970. He has 254 credits in GOAT, the Ali compendium and the biggest boxing book ever published.